Yet, it was reasonable for Safelite to have been operationally focused. The operational challenges of the auto glass industry are more ticklish and knotty than someone outside the industry could picture. To pick just one, the complexity of the technology in and around windshields has grown exponentially in every recent year. Feeney bluntly referred to my 2013 sedan as a “Flintstones-mobile, a very nice Flintstone-mobile,” when held up in comparison to the technology-laden automobiles coming off the line today. (Feeney is the kind of CEO who can say this sort of thing and still leave a smile on the target’s–my–face. Although he helms a now- multi-billion-dollar company, he has what used to be called “the common touch”; it’s hard to imagine him in an executive lunchroom but easy to imagine having a tuna salad sandwich in the cafeteria alongside the crew.) And a lot of that post-Flintstones automotive technology (collision avoidance, lane tracking, and the like, which in the aggregate are referred to as advanced driver-assistance systems, or ADAS), says Feeney, goes right through, or is projected onto, the windshield. 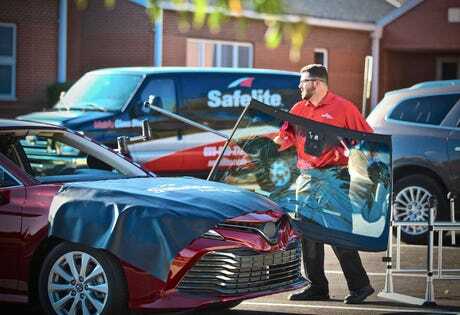 The result is an ongoing need to retrain Safelite technicians to address concerns that previously didn’t exist, such as “windshield calibration” (I didn’t ask for the details of this, but it sounds touchy). Much of what Safelite learned from these longer-form commentaries was that it was time for the company to undergo what Feeney calls “a digital transformation,” improving ease of use online: “We’ve taken the number of clicks down from 40 to less than 15 clicks to complete the scheduling of a job with us: In 15 clicks and about three minutes, you’ll have told us who your insurance company is, you’ve picked the part, you scheduled it, we’ve assigned a technician to you, and we’ve identified the part in our warehouse and have married the part, the technician, and your desired time and location. In another innovation suggested by customer verbatim commentary, Safelite has an Uber-like system called “On My Way”: a text message telling the customer exactly when a technician will be arriving and including a picture and bio for that technician, to provide reassurance that the person about to show up at their door is indeed a bona fide Safelite employee.